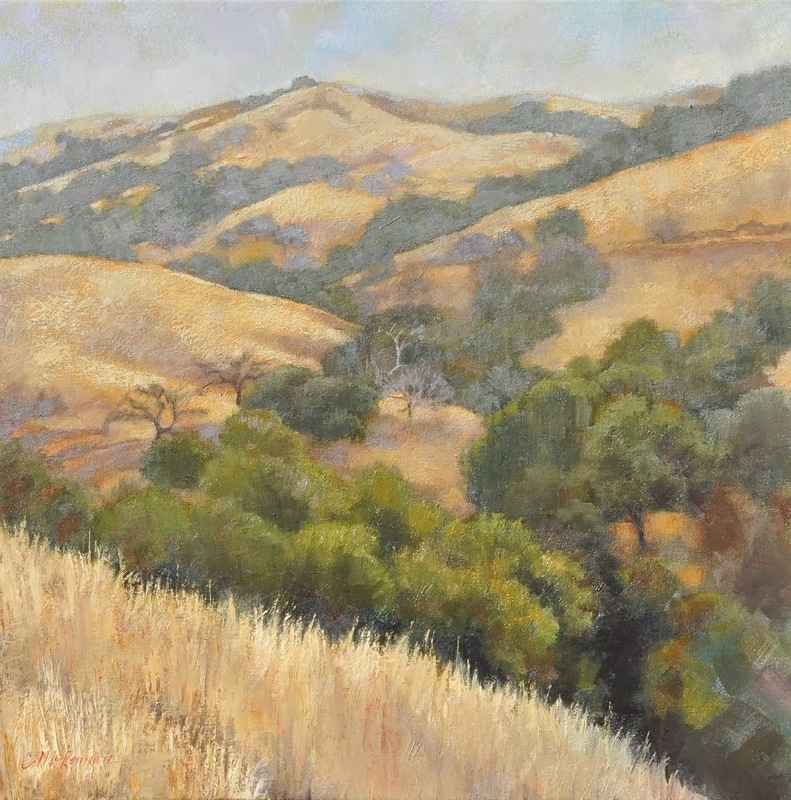 Connie McLennan : Winter Hills, Monterey County. I photographed these hills before getting my digital camera--probably 10 years ago--and have been looking at the little 4x6" prints periodically ever since, never quite sure how turn them into a painting. It's good I waited, because my approach now is a lot different than it would have been a few years ago. It's still a bit tighter than I would like, but I'm fairly satisfied with the color. Everytime I see the coastal hills, I want to paint them. If I lived nearer, I would paint them over and over. Update: On March 1, this painting won second place in Ironstone Vineyards' Spring Obsession art show.